Pompeo told representatives of the U.S.-led NATO military alliance the previous day that “the American position was made clear” by President Donald Trump, who last week warned that “all options are open” in expelling up to 100 Russian military personnel who arrived late last month in Venezuela. “The United States has its responses being prepared,” Pompeo told reporters at Thursday’s NATO gathering. Russian officials have repeatedly dismissed threats from their U.S. counterparts over deployment in Venezuela. As Moscow’s state-run Rostec opened a military helicopter training center there, Russian personnel were said to also be fulfilling “military-technical cooperation” between the two countries by reportedly maintaining the Russian-built S-300 surface-to-air defense system. The system was sold to Caracas under former President Hugo Chávez, who survived a 2002 coup attempt allegedly linked to officials in Washington. His successor, current President Nicolás Maduro, has been the target of the latest U.S. efforts to stamp out leftist currents in Latin America. The Venezuelan leader has been widely accused of corruption and mismanaging an oil-dependent economy, setting off an economic crisis greatly exacerbated by growing Trump administration sanctions. 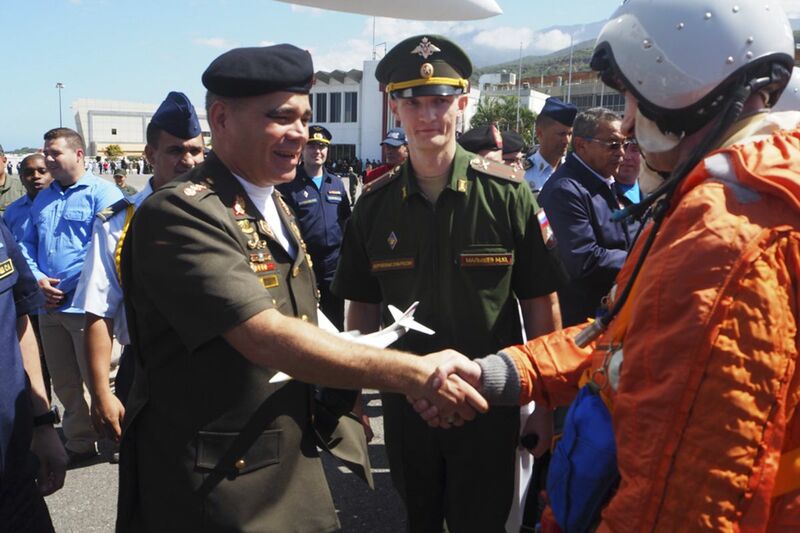 In January, about a month after a previous Russian military delegation conducted joint air exercises with Venezuela over the Caribbean amid U.S. threats, Venezuelan parliament speaker Juan Guaidó declared himself acting president in a political challenge swiftly recognized by Washington and its allies in the region. The U.S. has since severed ties with Maduro’s government entirely, while Russia continued to support him. Russia was joined by Belarus, Bolivia, Cambodia, China, Cuba, El Salvador, Iran, Lebanon, Mexico, Nicaragua, North Korea, the Palestinian National Authority, Serbia, South Africa, Syria, Turkey and Uruguay, among others. 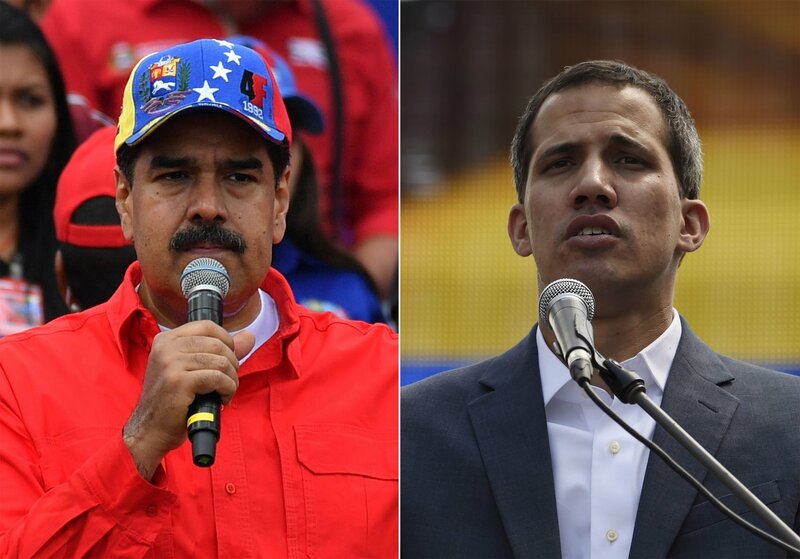 Those also backing Guaidó included Albania, Australia, Georgia, Israel, Japan, South Korea and Ukraine as well as the EU and most of Latin America. Last week, White House national security adviser John Bolton’s warned “actors external to the Western Hemisphere against deploying military assets to Venezuela, or elsewhere in the hemisphere, with the intent of establishing or expanding military operations.” In response, Lavrov said “the whole world” is covered in U.S. military bases. Lavrov also accused the U.S. of wanting to install a leader in Venezuela “who will do everything they say to him, primarily with regard to oil.” The U.S. has depicted its involvement as a humanitarian intervention as Venezuela experiences historic hyperinflation, goods shortages and blackouts that Maduro has blamed on external interference. The feud between Washington and Moscow comes amid a larger falling out on various world issues such as the collapse of a 1987 treaty that banned missiles with the same ranges that caused the 1962 Cuban Missile Crisis, and conflicting positions on Syria, where the U.S. also attempted to oust a government backed by Russia. While Lavrov dismissed the notion that Moscow was currently preparing a direct military intervention, Syrian President Bashar al-Assad and Venezuelan Foreign Minister Jorge Arreaza drew comparisons to the two crises during the latter’s visit to Damascus on Thursday. That same day, Venezuelan Deputy Foreign Minister Ivan Gil suggested more Russian personnel may be on the way.